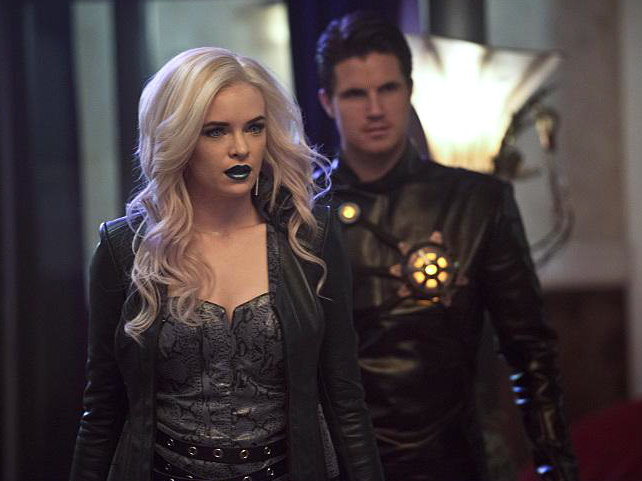 Barry, Cisco, and Wells travel to Earth-2 with a plan to track Zoom and rescue Wells’ daughter, Jesse — only to encounter super-powered villains Killer Frost and Deathstorm. Back on Earth-1, Jay Garrick may be the only one who can stop a meta-human who can generate earthquakes. Millicent Shelton directed the episode written by Greg Berlanti & Andrew Kreisberg and Katherine Walczak (#213).